My bread mojo has been lacking lately. I feel like I’ve had a long string of loaves that are too flat, flatbread that is too dry, lacklustre sourdough starter and cardboard-esque pizza bases. It has me feeling a little ho-hum about bread, while desperately craving something great. 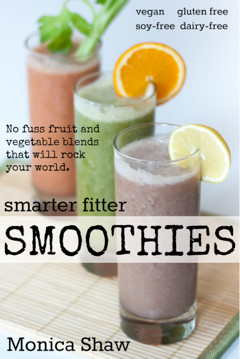 I decided to try two things: first, a new recipe. I opted for the Turkish flatbread from the River Cottage Bread Handbook . The second thing I tried was following the recipe exactly – no cutting corners, no experimenting with different flours. Instead, I paid attention to what I was doing and put my faith in the recipe. It didn’t let me down. 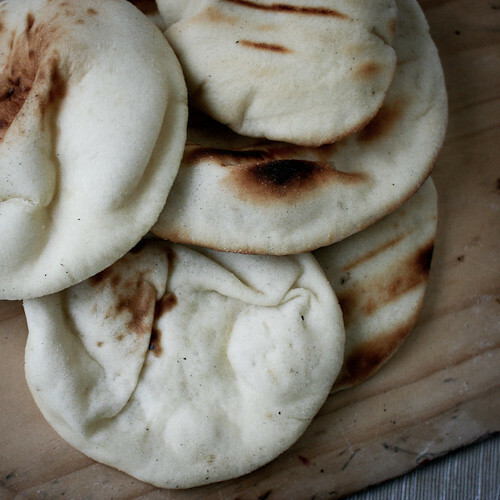 The dough includes yogurt and olive oil to create a soft pillowy flatbread. The dough wasn’t as wet as what I’m used to, but I resisted the urge to add (very much) extra water and let it do it’s thing. It rose as it should, and it was very easy to roll. I love flatbread because you can roll the dough into whatever size you want – big ol’ flatbreads for sharing with friends, or little mini breads to stack and freeze and keep on hand for whenever you need it. I rolled mine into about 4″ diameter, 3mm thick (do you like how I’m mixing my measurement systems?) and then got on with the baking. The recipe calls for the rolled-out dough to be baked quickly on a hot skillet, and then finished in the grill. 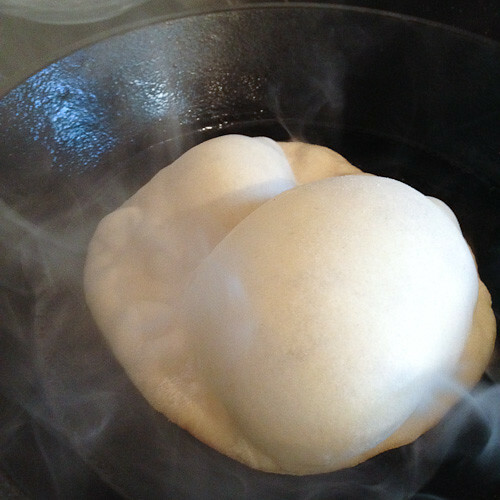 You can imagine my delight as I saw the dough puff and rise on the stovetop. What you don’t see, however, is the bread rapidly burning underneath! Lesson learned: these flatbread bake VERY quickly, and it’s a little fraught working with the skillet and then the grill. I ended up making most of the flatbreads on the outdoor BBQ because it’s much cleaner, harder to burn and you can make more than one flatbread at once! The resulting flatbreads weren’t so “flat” at all, but they were exactly what I was hoping for. I’ve been eating them with gusto with raw kale salads and beetroot and walnut hummus (another River Cottage recipe). Most importantly, however, I feel relieved to have had a baking success. The mojo is returning. Next up, sourdough? 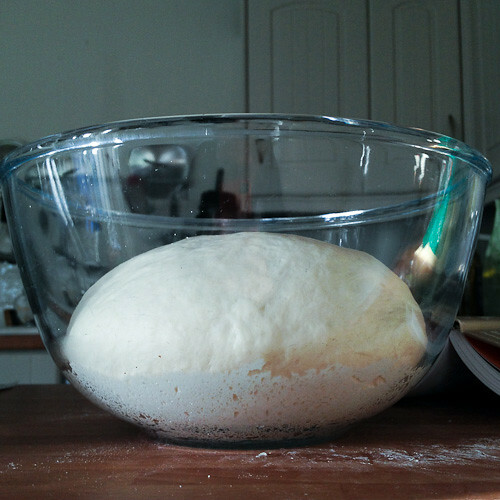 Mix the flours, yeast, salt, water and yoghurt in a bowl to form a sticky dough. If it seems really dry, and you’re having trouble working all the flour into the dough, add more water, a little bit at a time. Add the oil, mix it in. Knead until smooth and silky (either by hand or with a machine – I use a mixer with a dough hook and knead for about 5 minutes). 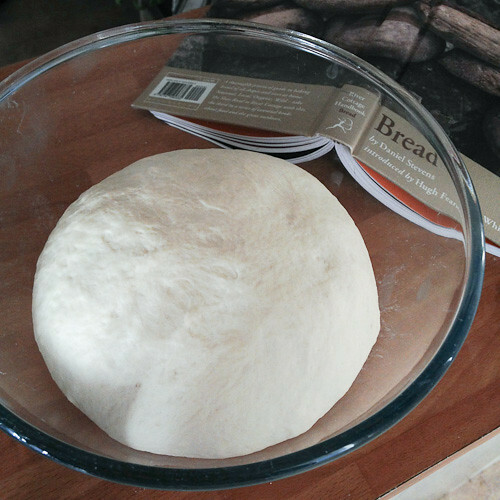 Shape the dough into a round, then place in a clean bowl. Leave to rise, covered with a plastic bag, until doubled in size. Deflate the dough, then if you have time, leave to rise a second, third, even a fourth time (this improves the dough but is by no means essential). Tear off pieces the size of small lemons (or smaller, or larger, if you like) one at a time, shape into a round, then using plenty of flour, roll out to a 3-4mm thickness and leave to rest for 5 minutes or so. To bake on the stove / grill: Heat a large heavy based frying pan over the highest heat and set the grill to maximum. When the pan is super-hot, lay the first bread in it. After a minute or possibly less the bread should be puffy and starting to char on the bottom. Slide the pan under the hot grill, a good 15cm from the heat, and watch your creation balloon magnificently. Remove the bread when it starts to char on the top, brush on some olive oil, then server. To bake on a BBQ: Make sure the BBQ is good and hot. 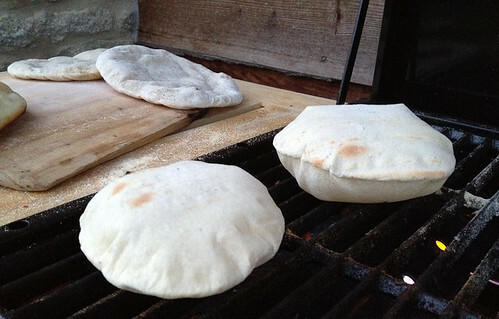 Lay the rolled out dough directly on the BBQ. You’ll see it start to bubble and puff. When it starts to char, flip it over and cook until it starts to char on the other side, too. Remove, brush on some olive oil and serve. Maybe another one to make if you want a tasty bread, is the Jekka’s Herb rosemary bread you made during our first reunion weekend? So good! Funny you mention that – I’d also put that rosemary bread high on my list of “mojo rejuvinators”. It’s the bomb. but I like the sound of your recipe with the extra protein from the yoghurt. The thing is… I really like the burnt bits. 😉 The yogurt has the added benefit of making these pillowy soft! Just LOVE these! after being stationed in Turkey, my tastebuds were insulted by stateside equivelents. Now, I can make my kabaps and shāwarmā with that satisfying authentic taste. This rcipe was easy, fun, and very tasty! Fantastic, Aly! So glad you enjoyed them! We are making Sultan’s delight (Like a lamb stew)Hünkar Beğendi as a main course for a dinner party and are wondering what type of bread you would recommend to go with it? We think this flatbread would work but any other opinions would be gratefully received! Personally I think this would be perfect! 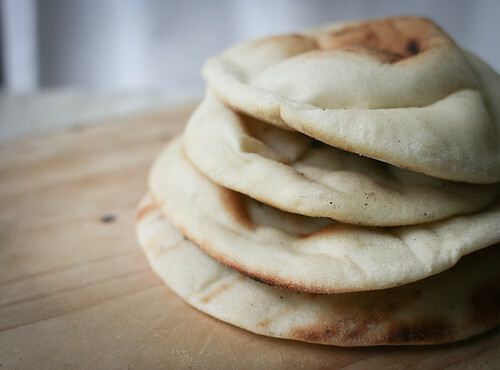 Or you could go with simple chapattis but the flatbreads definitely have more wow factor!